Home » There is someone alive today who will live to be 1,000 years old: Why we are living longer than ever? “The first person to live to be 1,000 years old is alive today.” I read that sentence two years ago and it set me off on a voyage of discovery. Since then I’ve been finding out what is known about longevity, the time that each of us are allotted to live our lives. I’m not going to live to be 1,000 but could my granddaughter? We live in unprecedented times and the pace of change and innovation is explosive. Unlike any other era, mankind has the means to destroy the world completely and in so many ways. If mankind does not succumb to man-made or natural disasters, and continues to progress exponentially, it becomes difficult to predict the next 100 years, let alone peer darkly into the distant future. Mankind’s curiosity has taken us to the stage when we can start to answer some of the fundamental questions about ourselves, why we are here and what are the mechanisms that got us to this point. I believe that we stand on the threshold where this understanding can be translated into the most extraordinary and wonderful changes in the human condition. A few generations ago death was a familiar event. Death was capricious, visiting the young as well as the old, the hale as well as the infirm, the rich as well as the poor. It was an accepted and everyday occurrence over which man had little influence. No wonder that it was often seen as beyond man’s control. I’m now retired but I spent many years looking after seriously ill patients as director of intensive care at the Royal London hospital. In a previous age I might not have survived this long, let alone enjoy an active physical and mental existence. Over the last 150 years, improved nutrition, clean water, better sanitation and the application of medical science have been remarkably successful in tackling disease and allowing most people to reach their potential lifespan. Because of these advances millions of people are alive today who would have died not so many years ago. In recent years the search for ways to achieve an extended lifespan has moved out of the realm of fantasy and science fiction to become a legitimate scientific pursuit. Death has moved from being inevitable, to a technical hitch amenable to intervention and prevention. For most of recorded human history average life expectancy has been between 20 and 40 years. In Britain it was only in the mid-1800s that this figure consistently rose above 40 years. Today in the UK average life expectancy is about 80 years. The main reason for this extraordinary advance is the fall in infant mortality. In 1800 one-third of British children died before their fifth birthday. Today that figure is less than one per cent. The big killers used to be infectious diseases such as tuberculosis, scarlet fever, smallpox, influenza, typhoid and cholera. If progress at reducing mortality continues then many children born since the year 2000 will live to celebrate their 100th birthday. Psalm 90:10 in the Bible concedes a natural life span of three score years and 10, or fourscore for the fortunate. Living to 70 or 80 years of age was not unusual in historical times. For example, Michelangelo died in 1564 three weeks before his 89th birthday. Worldwide there are thought to be about 400 people older than 110 years, and more than 90 per cent of them are women. The oldest reliably documented person was a French woman called Jeanne Calment who died in 1997 at the age of 122. A healthy, non-smoking lifestyle involving exercise, good nutrition and rewarding social interactions will maximise the chances of achieving your potential lifespan. I can’t tell you how to live for hundreds of years, but at the moment nobody can. Natural selection is the key mechanism in evolution. We can’t rely on this to extend life as there is little evolutionary pressure once we have had children and passed on our genes. If humans are to live longer than anyone has before then medical science will have to up its game. All living organisms use the same chemical building blocks and the same cellular organisation. That is why it is said that we share 50 per cent of our genetic material with a banana plant. If other creatures can live extraordinary long lives, regenerate limbs or spend winters in hibernation, then why can’t we? Ageing is common to almost all creatures but occurs at vastly different rates and in different ways. Interventions have already been demonstrated that substantially extend the lifespans of yeasts, worms, fruit flies and small mammals. Successful techniques include genetic manipulation, calorie restriction and therapy with drugs that slow ageing. Researchers are getting a better understanding of the ageing process and thus the ways in which it could be slowed, halted or even reversed. Some off the wall solutions to extending lifespan have been described. These include freezing the dead to be reanimated in the future, head transplants and uploading to a computer. More mainstream approaches, all in their infancy, probably have a better chance of prolonging human life. These are the application of technology to replace and enhance human functions, regeneration and stem cell therapy, and genetic manipulation. Medical innovations have already saved the lives of millions of people. My working lifetime saw the introduction of CT and other imaging, non-invasive surgery, and endoscopy made possible by fibreoptics and cameras on microchips. In the UK more than 300,000 cataract replacements are performed each year inserting an artificial lens into the eye. The near future will probably see the wide application of smart health monitors, brain stimulators, replacement organs grown in the laboratory or in donor animals, artificial intelligence to diagnose and treat disease, and nanomedibots in the bloodstream programmed to search out and destroy harmful viruses and cancers. A human foetus in the womb can regenerate a damaged fingertip. After birth the capacity for repair and regrowth is rapidly lost. Across the animal kingdom there is a huge range in the ability to regenerate tissues and organs with some adult animals retaining the ability to regrow limbs, heart muscle, brain and spinal cord. Stem cells may provide the answer to regeneration. These cells contain all the genetic information to become any other type of cell. During development the embryonic cell differentiates and turns into the specialised cell that is its destiny. We now know that these specialised cells can be rejuvenated back into pluripotent stem cells with the potential to turn into almost any other cell. These cells could be used to replace those lost or damaged and be used to build new organs without the risk of rejection. They are being investigated to replace or renew damaged tissue in brain and spinal cord, in the heart, to replace teeth, restore vision and transplant new pancreatic cells to produce insulin. 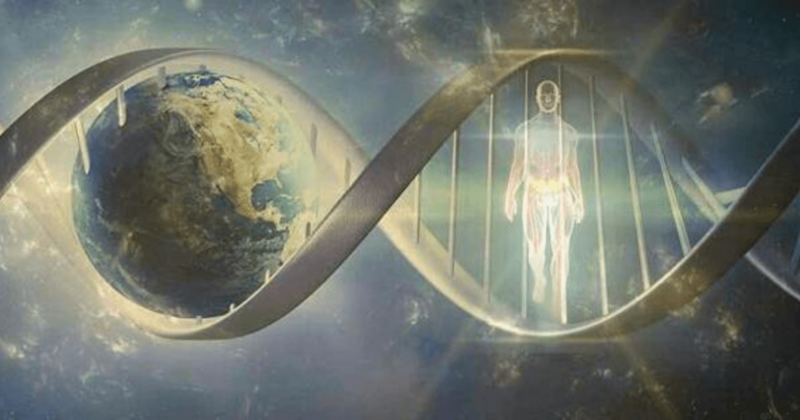 With a few exceptions, each and every one of the 30 trillion cells that are your body contains a full set of DNA. This genetic material contains all the information needed to build and maintain an individual. The molecular structure of DNA was only identified in 1953. In 2003, after 13 years of work and at a cost of $2.7bn (£1.9bn), the more than 3 billion base pairs of the human genome were described for the first time. This was one of the most important discoveries that mankind has ever made. Using a technique called CRISPR it is now theoretically possible to go to any strand of DNA from any life form, snip it in a precise location and then add or remove DNA. In humans this is the equivalent of taking 850 volumes of the complete works of Shakespeare and purposefully editing one specific letter. Diseases such as Haemophilia B and sickle cell disease are already being treated with gene therapy. Genes from one species have been successfully inserted into another. This creates novel changes impossible in nature. We already know that small genetic changes can profoundly affect longevity. In the future gene manipulation may directly introduce alterations in DNA to cure ageing and prolong life. I was 26 when my grandfather died aged 84. When he was born in 1894 the population of the world was about 1.6 billion. I came along in 1952 by which time it had grown to 2.6 billion. By the time of my granddaughter’s birth in 2016 the number of people on our planet had swollen to 7.4 billion. The world my granddaughter was born into would be unrecognisable to the horse-drawn, steam-powered world of my grandfather’s birth. My grandchild can reasonably expect to live well into the 22nd century. But that is without accounting for medical progress. I stand as the link between my grandfather and my granddaughter. What will her world look like, and that of her grandchildren? Maybe she will be the first person to live to be 1,000. I celebrated the coming of the second millennia. Perhaps she will be around for the third?